Have you ever wondered what the small cracks on your wall might mean or why your floor is sinking? It can mean worse damage is being done to your home and it’s foundation. The foundation is the base of your home, it is what holds your home up. Without a stable foundation, your home can suffer damage and cost you thousands of dollars in repairs. 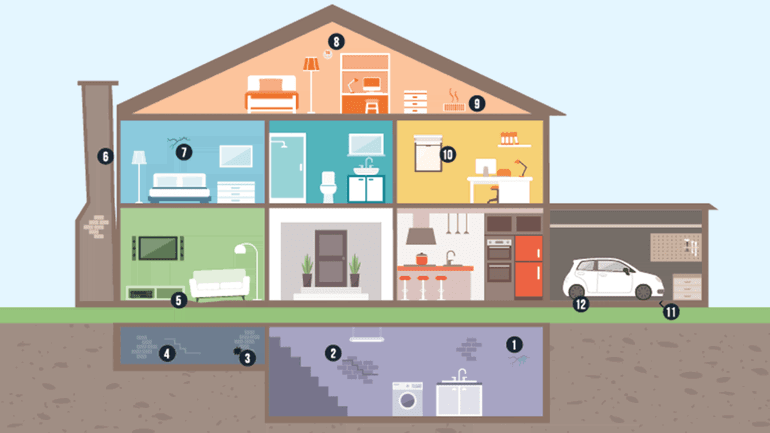 The infographic below will show you the symptoms to look for and how you can prevent future damage to your home’s foundation.